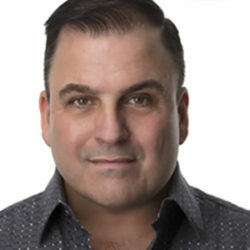 Mr. Sabella is internationally recognized as a Master Teacher in Musical Theater and Contemporary Commercial Music Vocal Techniques. He served as the Executive Director of The Broadway Theatre Project as well as the President of NYSTA The New York Singing Teachers’ Association. And he has served on the Musical Theater voice faculty at Montclair State University, Fordham University, as well as NYU, Tisch School of the Arts, CAP21 Studio; The New School University’s Mannes College Prep. Division; the State University of New York, College at Purchase and College at Newpaltz. Broadway: Originated the starring role of “Mary Sunshine” in the 1996 revival of CHICAGO, with Bebe Neuwirth, Ann Reinking, and Joel Grey. He returned to the Broadway company, to appear with Melanie Griffith as Roxie Hart. And, returns as needed for the Broadway and National Touring Companies. He is also appeared in workshops of Kander and Ebb’s newest collaboration, The Visit, with both Angela Landsbury & Chita Rivera. Off-Broadway: The Phillie Trilogy (Winner – Outstanding Lead Actor in a Play, Fresh Fruit Festival 2017). Jules – (the life of Julian Eltinge) Laurie Beechman Theater, October, 2012. La Tea Theater 2014. Other Off-Bway credits include Kiss and Make Up at the Lucile Lortel Theater, as part of the New York International Fringe Festival, the HBO reading of The Green Room, as well as Hexed in The City, Foxy, Watch Your Step, So Long 174th Street. and O’Henry’s Lovers (New York Musical Theater Festival). Regional credits include: A Little Night Music, Seesaw, Godspell, Merrily We Roll Along, The Gingerbread Lady, and The Lisbon Traviata. David will be assisting with “The Broadway Insider Experience!” during Friday’s schedule of activities.